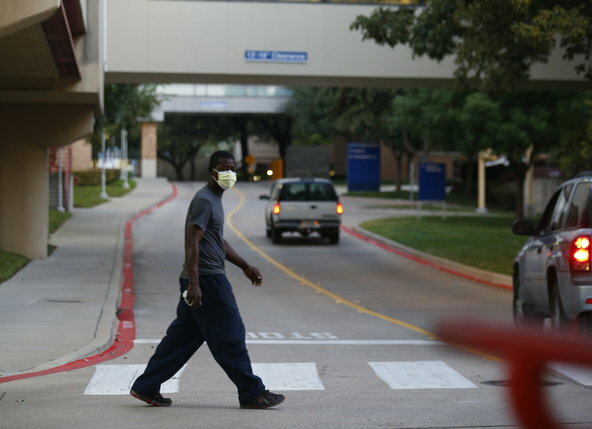 A pedestrian wears a surgical mask as he crosses the street in front of Texas Health Presbyterian Hospital. Will history someday show that the electronic medical record almost did the great state of Texas in? We do not really know whether dysfunctional software contributed to last month’s debacle in a Dallas emergency room, when some medical mind failed to connect the dots between an African man and a viral syndrome and sent a patient with deadly Ebola back into the community. Even scarier than that mistake, though, is the certainty that similar ones lie in wait for all of us who cope with medical information stored in digital piles grown so gigantic, unwieldy and unreadable that sometimes we wind up working with no information at all. We are in the middle of a simmering crisis in medical data management. Like computer servers everywhere, hospital servers store great masses of trivia mixed with valuable information and gross misinformation, all cut and pasted and endlessly reiterated. Even the best software is no match for the accumulation. When we need facts, we swoop over the surface like sea gulls over landfill, peck out what we can, and flap on. There is no time to dig and, even worse, no time to do what we were trained to do — slow down, go to the source, and start from the beginning. This man had by then recounted the long story of his bad leg to three separate teams of doctors and nurses. I was the 14th interrogator by my count, and despite my standard opening gambit (“I know you’ve been over this before”) I was the one to flip his switch: The patient ordered me and my team out of his room and pulled the covers over his head. Who can blame him for assuming that in this day and age, once told, his story needed only to be retweeted. But medical care requires dialogue. Although we plucked some information from the glut of words in his chart and cobbled together a plan, we didn’t do him justice, not by a long shot. The fact is that even if all the redundant clinical information sitting on hospital servers everywhere were error-free, and even if excellent software made it all reasonably accessible, doctors and nurses still shouldn’t be spending their time reading. The first thing medical students learn is the value of a full history taken directly from the patient. The process takes them hours. Experience whittles that time down by a bit, but it always remains a substantial chunk that some feel is best devoted to more lucrative activities. Enter various efficiency-promoting endeavors. One of the most durable has been the multipage health questionnaire for patients to complete on a clipboard before most outpatient visits. Why should the doctor expensively scribble down information when the patient can do a little free secretarial work instead? Alas, beware the doctor who does not review that questionnaire with you very carefully, taking an active interest in every little check mark. It turns out that the pathway into the medical brain, like most brains, is far more reliable when it runs from the hand than from the eye. Force the doctor to take notes, and the doctor will usually remember. Ask the doctor to read, and the doctor will scan, skip, elide, omit and often forget. The same problem dogs other efforts to reduce the doctor’s mundane history-taking responsibilities. For instance: Why not leave it to the nursing staff to ask all those dull questions about smoking, drinking, social activities and recent travel? They will write it all down. The doctors will review. And then the next thing you know, that unimportant background information explodes all over the nightly news, because the doctors failed to review, or failed to remember what they reviewed, and key travel details simmered unnoticed in the bowels of some user-unfriendly electronic medical record. Over and over again we are forced to admire the old traditions. As we tell the students, it’s not that complicated. You say hello, you sit down, and you have a conversation. A few months after our expletive-spewing patient got better and went home, our team went to see a more cooperative young man admitted to the hospital with a fever. This one had gotten sick after a camping trip in California, and the words “camping” and “California” were repeated over and over again in his chart, escalating into the general conviction that he had come down with a serious fungal infection that can be acquired from the soil in some parts of Southern California. If this patient had refused to talk to us, we might have been tempted to treat him for that infection, which would have been a big mistake. Fortunately, he politely led us through his entire hike, which proved to have skirted the habitat of this fungus by hundreds of miles. We could tell his other doctors to stop focusing on his travels and pay attention to his heart murmur instead, the real clue to his problems. Like good police work, good medicine depends on deliberate, inefficient, plodding, expensive repetition. No system of data management will ever replace it. A version of this article appears in print on 10/14/2014, on page D1 of the NewYork edition with the headline: Repeating the Mistakes of History. 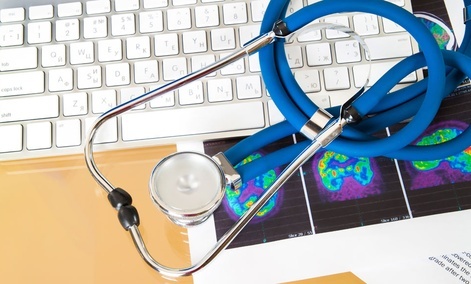 Epic Systems, considered the front-runner for the Defense Department’s $11 billion electronic health record contract, has come under sustained criticism for lack of interoperability with other EHRs, including most recently a front-page story in The New York Times last Sunday. Interoperability between Epic and other EHRs is possible, but only after hospitals pay high fees, the Times reported. Large hospital systems, such as Kaiser Permanente, the second largest health care system in the country with 8.6 million patients – compared to 9.6 million in the military health system – have embraced Epic. As the biggest player in the market, Epic has derived huge benefits from the $24 billion of incentive payments paid out by the Centers for Medicare and Medicaid Services to clinician and hospitals that adopt EHRs, Rand said. At a House Energy and Commerce Committee hearing July 17, Rep. Phil Gingrey, R-Ga, who’s also a doctor, noted the incentive payments were made to encourage interoperability. Modern Healthcare reported Epic officials blame negative perceptions about the company and its software on misinformation spread by rivals. Interoperability is a key requirement for the new defense EHR system, which will replace the existing Armed Forces Health Longitudinal Technology Application outpatient EHR and the inpatient Essentris system. The new EHR needs to exchange data with Department of Veterans Affairs systems as well as with civilian clinicians and hospitals covered by the TRICARE insurance plan. 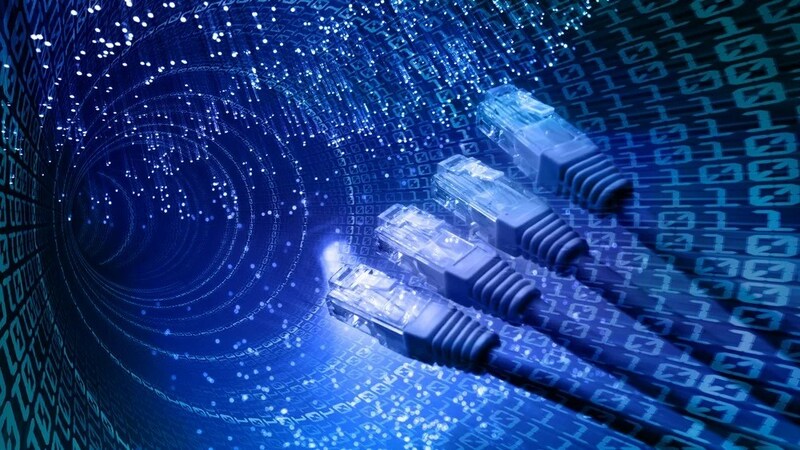 EPIC did not respond to a query from Nextgov on the interoperability of its system. Veterans Affairs Secretary Eric. K. Shinseki speaks at a conference in Washington on Nov. 19, 2009. Shinseki on Friday, May 9, 2014, placed a VA nurse on leave for an email that contained directions on how to game the system. WASHINGTON — Senators grilled embattled Veterans Affairs Secretary Eric Shinseki Thursday, saying about 50 federal reports in recent years warned of problems long before a scheduling scandal involving veteran deaths exploded last month. Shinseki said he is “mad as hell” that employees may have falsified records on VA wait times and urged patience from Capitol Hill lawmakers as his agency investigates allegations. But he told lawmakers he has no intention of resigning. The retired four-star general’s job appears under threat as the Department of Veterans Affairs is rocked by reports of wrongdoing in at least 10 states. In Arizona, allegations surfaced in late April that a Phoenix VA hospital kept a secret list concealing long waits for health treatment while 40 veterans died. Veterans’ groups and members of Congress have called for Shinseki to resign, and the VA inspector general has launched a probe in Phoenix. That probe will not be completed until August, the IG testified. On Wednesday, President Barack Obama directed one of his top advisers to assist in a review the VA service, which constitutes the largest integrated health care system in the United States and serves 6.5 million vets per year. White House deputy chief of staff Rob Nabors will be temporarily assigned to the VA to work on a review focused on policies for patient safety rules and the scheduling of patient appointments, officials said Wednesday. The Associated Press noted that the move is similar to the action the White House took last year when it assigned longtime Obama aide Jeffrey Zients to take over management of the troubled HealthCare.gov website from officials at the Health and Human Services Department. HHS Secretary Kathleen Sebelius later resigned her post. He said the VA has fired or moved employees, including senior officials, in the wake of the scandal and will also spend the next three weeks reviewing its health care system, which has some 1,700 points of entry, and will use those results to make improvements. Sen. Bernie Sanders, I-Vt., the Senate Veterans’ Affairs Committee chairman, asked the VA secretary why, year after year, new federal reports are published describing access and care problems at the agency’s facilities. Shinseki said various reports by the IG and Government Accountability Office have been used by the VA to improve its system. The department reacted to long treatment wait times at its facilities by last year requiring that all patients be seen within 14 days of requesting an appointment. But whistleblowers are now alleging that VA employees falsified records to make monthslong waits appear to fall within the two-week rule. Sen. Richard Burr, R-N.C., asked Shinseki if he was aware of a report that a VA facility in his state double-booked veteran patients for the same appointments and recorded patient visits to “ghost clinics,” facilities that do not exist or are not in operation. He said the allegations were sent in a letter to President Obama. “I can’t say that I remember it,” Shinseki said. When asked why he should not resign, the former Army chief of staff and Vietnam veteran said he came to the VA to improve the agency and provide health care to those he had served with over a 38-year military career. “I intend to continue this mission until I’ve satisfied that goal or I am told by the commander in chief that my time is served,” he said. The Phoenix VA scheduling scandal that exploded in April coupled with the years of problems left Senators and national veterans’ groups questioning VA leadership. Sen. Jerry Moran, R-Kan., said he had worked with nine directors of the VA over his political career and health care has been deteriorating under Shinseki’s tenure. “The quality of that service is diminishing and that was not true until recently,” Moran said. Senators told Shinseki they wanted action. Sen. John McCain, R-Ariz., who made a special appearance at the hearing Wednesday, said VA beneficiaries should immediately be given more flexibility in choosing where they get treatment to avoid long waits at clinics. “My fellow veterans can’t wait the many months that it may take to finish [the IG] report,” he said. The nation’s largest veterans groups also testified, saying they were angered by the allegations that some were dying while waiting for care, and that better leadership was needed. But instead, the long delays in scheduling health care for veterans appears to have been hidden by VA employees that doctored hospital records, Tarantino said. “This is indicative of a culture of failed oversight and accountability,” he said. Veterans expect action to correct the problems to be “taken in weeks, not months” and urged completely independent investigations of the scheduling and health care claims independent of the VA, Tarantino said. Fast internet is fast. Google Fiber’s gigabit connections? That’s like driving a sports car compared to the go-cart-speed connection that’s probably in your house. But new technology from IBM opens the door for connections that are beyond fast. Comparatively, it’s like flying a fighter jet. 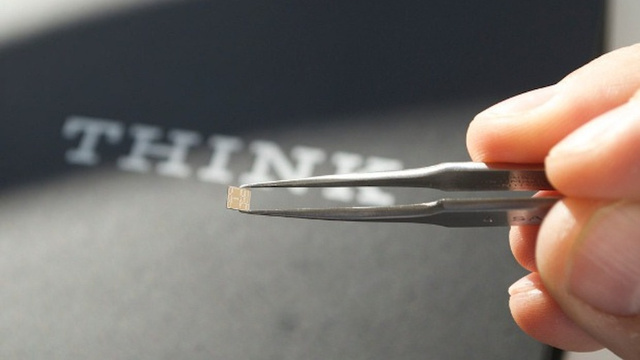 IBM researchers in Switzerland just unveiled the prototype for an energy efficient analog-to-digital converter (ADC) that enables connections as fast as 400 gigabits per second. That’s 400 times faster than Google Fiber and about 5,000 times faster than the average U.S. connection. That’s fast enough to download a two-hour-long, 4K ultra high definition movie in mere seconds. In short, that’s incomprehensibly fast. The ADC chip itself was actually built for loftier purposes than downloading episodes of Planet Earth, though. It’s actually bound for the Square Kilometer Array in Australia and South Africa to help us peer hundreds of millions of light years into space, hopefully to give us a better idea of what the universe was like around the time of the Big Bang. This massive radio telescope will devour data, too. It’s expected to gather over an exabyte every day when it’s finished in 2024. That’s over 100 billion gigabytes. It’s no surprise that money is routinely wasted on unneeded medical care, but for the first time, officials have estimated just how many health care dollars may be squandered in Massachusetts. It could be as much as $27 billion a year. Between 21 and 39 percent of medical expenditures in the state may be wasteful, according to the state’s newly formed Health Policy Commission. That added up to $14.7 billion to $26.9 billion in 2012. One large chunk of that went toward readmitting hospital patients who could have stayed home if their discharge planning had been better, such as having proper instructions for taking medication. The commission, which released the report on health care cost trends Wednesday, said hospital readmissions may account for $700 million in unnecessary spending annually. It also blamed emergency room visits that could have been prevented with better primary care and treatment for hospital-acquired infections. Other factors included inappropriate imaging tests for low back pain, and unnecessarily inducing labor early in women, which can increase health problems for infants. The group arrived at the findings a variety of ways, including using information from previous reports and analyzing new data from the state’s All-Payer Claims Database. That database contains information on all medical claims paid by private insurers and Medicare. The group was able to identify patients with low back pain who got CT scans or MRIs to diagnose the condition, rather than wait a few weeks for the pain to go away, which is usually what happens. Economists and policy specialists also employed a formula typically used to estimate waste in health care spending nationally, said David Cutler, a Harvard University health economist and commission member. He said it is the first time wasteful spending has been estimated for a smaller geographic region. In its report, the group pointed out that per-person spending on health care in Massachusetts is the highest in the nation. The commission, established by the state’s health care cost control law passed in 2012, is an independent state agency responsible for slowing growth in medical spending, improving access to care, and creating better ways to pay for care. In its report, the group pointed out that per-person spending on health care in Massachusetts is the highest in the nation and grew far faster than the national average until 2009. After that, increases in both national and state spending slowed. Lynn Nicholas, president of the Massachusetts Hospital Association, said some of the report’s assertions are misleading. Since 2009, medical-cost growth has slowed more in Massachusetts than nationally, she said. And the commission based its analysis of hospital readmissions, for example, on 2009 data, and hospitals and other providers have worked hard to become more efficient since then, Nicholas said. “It’s beginning to pay off,’’ she said, and those efforts are not reflected in the data. The commission also analyzed high-cost patients, providing the first statewide attempt at “hot-spotting’’ — the identification of chronically ill patients who repeatedly visit emergency rooms and are often hospitalized. It found that 5 percent of patients accounted for nearly half of all medical spending among those covered by Medicare and commercial insurance. Many of these patients also had mental health problems, or were poor. The commission said it hopes the findings will help focus resources as providers and insurers develop programs to improve primary care. On the one hand, he said, doctors who work in hospitals push hard to get patients diagnosed and discharged as quickly as possible to keep down costs. But the systems are not yet in place to make sure those patients have appropriate home visits and other follow-up care to keep them on the road to recovery. Doctors and nurses are trying to spend more time talking to and visiting patients to keep them healthy at home, he said, but insurers do not yet routinely pay for this extra work. “We have already started to change our behavior, but the payment system has not caught up yet,’’ he said. CPOE has come a long way in 10 years, but there so much more to do. Neil Versel, Contributing Writer Neil Versel is a freelance health IT journalist in Chicago. He has been a professional journalist since 1992, focusing on healthcare since 2000. 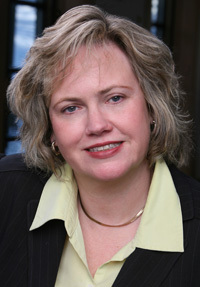 Ten years ago, the Center for Information Technology Leadership at Partners HealthCare in Boston published a widely heralded report suggesting that nationwide adoption of ambulatory CPOE, tightly coupled with electronic health records and clinical decision support, could prevent 2 million adverse drug events, 130,000 life-threatening medication errors and 190,000 hospital admissions per year – all while saving $44 billion, largely from avoiding duplication. “Those were the days when electronic medical records were kind of a gleam in some people’s eyes,” recalled Jan Walker, RN, who served as executive director of the now-defunct CITL at the time the report came out. Those also were the days when the Leapfrog Group, a Washington-based coalition of large healthcare purchasers, was heavily promoting CPOE adoption as a way to boost patient safety. Most notably, though, hospitals were treading carefully after Cedars-Sinai Medical Center in Los Angeles turned off its CPOE system in early 2003. Medical staff there rebelled after a house-wide “big bang” rollout, realizing that the poorly planned system increased their workloads and encouraged cutting corners. It took another eight years before Cedars successfully implemented CPOE. In the past decade, several studies have been published suggesting that CPOE can introduce and even magnify errors without proper safeguards, particularly against physicians suffering from “alert fatigue” turning off notifications. meaningful use in 2011, even as some remain wary. A February 2013 paper in the Journal of the American Medical Informatics Association estimated that nearly a third of U.S. acute care hospitals had fully implemented CPOE by 2008. Leapfrog used to give hospitals credit if they were merely planning on installing CPOE. Now, the technology not only has to be operational, it has to work properly. In 2008, when Leapfrog began evaluating CPOE systems, 108 hospitals met the organization’s minimum standards. Five years later, 847 reported having functional CPOE and 523 passed the test. That represents about half of all hospitals reporting to the Leapfrog Group, and is up from 292 reporting and 181 passing in 2011. “It’s a completely new ball game,” said Binder. She said meaningful use, which began in 2011, is the primary driver, even if the Stage 1 CPOE requirement of at least one medication order for 30 percent of patients was so low. 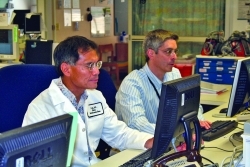 In Stage 2, the minimum increases to 60 percent of patients for medication orders, 30 percent for lab orders and 30 percent for radiology orders. Leapfrog’s criteria are more stringent. The organization tests to make sure clinical decision support mechanisms are in place. A hospital has to show that more than 75 percent of medication orders are entered electronically in at least one inpatient unit because Leapfrog members want to emphasize prevention of adverse drug events. From the provider side, CPOE can be a big help – or, as some learned years ago, an untenable burden. Graham Hughes, MD, chief medical officer of analytics firm SAS, was at GE Healthcare during those heady days of the mid-2000s, and previously designed and developed CPOE systems. “I’ve lived it and I have the scars,” Hughes quipped. Today, what Hughes describes as the “PlayStation-Xbox generation” of physicians enter practice wondering why the level of automation has been so poor, said Hughes. “The difficulty with CPOE has been making it part of a physician’s natural workflow,” he suggested. Longtime medical informatics professional Howard Landa, MD, tried to implement CPOE at Loma Linda University Medical Center in California in 2001, two years before the Cedars debacle. He brought it up on one unit, then took it down shortly thereafter because physicians complained of having to do too much work. “We weren’t accounting for the workflows,” said Landa, now the chief medical information officer for Alameda County Medical Center in Oakland, Calif.
Landa, vice chairman of the Association of Medical Directors of Information Systems, knows today that there is a balance between facilitating workflow and disrupting it. He believes CPOE has improved markedly in the last few years after a long period of stagnation. Landa used a Technicon Data Systems CPOE system as an intern at New York University in 1983. “Between then and the early 2000s, you didn’t see much difference,” he said. There was little in the way of clinical decision support or workflow support for order entry, he said. Hughes said that there is kind of a spectrum of alert fatigue. System designers have begun to distinguish between subtle guidance and “you need to act now” kind of guidance. “There is becoming stratification of alerts,” he said. And context matters. For example, test results often are abnormal in patients in intensive care, so it is almost counterproductive for a CPOE to keep flagging abnormal values in an ICU, he noted.